Hello everyone and happy Tuesday! 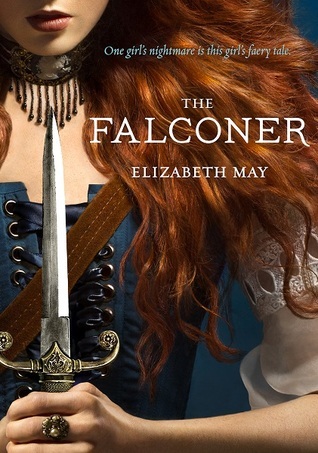 Today I have another fabulous author here to talk about how they came to realize they wanted to get into writing. Please welcome the talented Reese Hogan! Hello! My name is Reese Hogan, and I’m excited to be joining Kayla on her blog today. Last year, I published my first novel, The Deadliest Echo, which is a science fiction thriller set in 1920’s Soviet Russia. Please visit my website at http://www.reesehogan.com to read a sample or keep up with my future projects. I can also be found at http://www.facebook.com/reesechogan or on Twitter @ReeseHogan1. For someone who’s been reading and writing since an early age, an English degree seems not only a logical choice, but almost a default one. Prior to entering college, I had completed my first three novels. My writing was nothing more than a hobby; in fact, it was my escape from the mind-shattering chemistry and biology classes I was taking for the pharmacy degree I was pursuing as a freshman. Over the next couple years, the science courses got harder, and fiction and poetry became even more of a refuge—both outside of the classroom and in, as I started searching out writing courses as a load-lightener for my eighteen-credit semesters. I wasn’t doing too well in pharmacy, but I excelled in the writing classes. Some professors brought up trying to publish. I wasn’t interested. I only wanted to write for the sake of writing. Anything else was too much work. Switching my major from pharmacy to English was an obvious and logical step by the end of my second year. I also traded in my chiropractic therapist job for one at a bookstore. Coming into the reading and writing community from the medical field was like coming home after being in a foreign-speaking country for years. The conversations were stimulating, the jokes were witty, and the people were amazing. I connected with others faster than I ever had before. It was after graduation that a former English professor—not one of my own, but a coworker—brought up publishing again. He was a writer as well, and someone I’d really grown to admire. For the first time, I really considered it. I’d tried my hand at journalism and editing, but found both unbearably dry—basically homework to get through so I could get back to my real writing. I wanted to write snappy dialogue, high-action scenes, and life-or-death situations that seemed impossible to escape. And I wanted to make myself part of a world of others who felt the same way. The world of authors. If not for my habits of seeking refuge in my writing during my college years, I don’t think I would have ever found my way to the path I’m on today. I love writing as much as I always have, although I’ve come to wonder how I ever thought of it as easy. I guess that’s just part of gaining experience. It’s worth it. As someone who’s been reading and writing since an early age, becoming a published author wasn’t just a logical choice. It was a default one. It just took me a decade to realize it. Thank you so much Reese! I loved hearing about how you found your way to your writing career today! I also loved having the opportunity to read your novel, The Deadliest Echo — and, guys, this is seriously one of the best books that I’ve read so far this year. Check out my review right here! 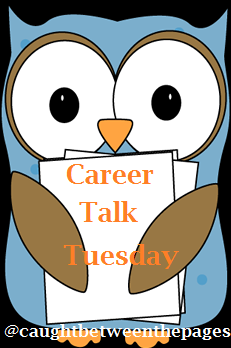 Do you want to participate in Career Talk Tuesdays? Email me at caughtbetweenthepagesblog at gmail dot com! Thank you for the feature, Kayla! I felt honored to be a part of your blog today.